Experience air purification in our new relaxation private, Himalayan salt therapy room – one of the first in the North Scottsdale. Salt air contains negative ions that accelerate our ability to absorb oxygen and balances levels of serotonin, as well as having anti-bacterial, anti-inflammatory, and anti-microbial properties. Halo or Salt therapy improves your health, increase respiration and boost your mood and reduce stress. Find out more about the benefits of Himalayan Salt below. 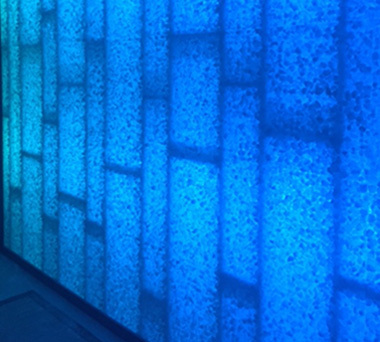 Call us to schedule you or your group in our salt therapy room. 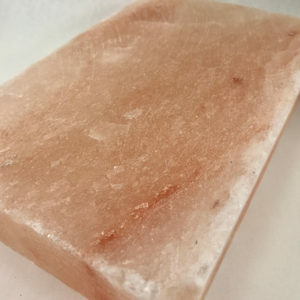 Himalayan pink salt is no longer a “hidden secret.” Found one of the most beautiful (and highest) mountain ranges, it has been prized for its healing and restorative powers tracing back to ancient times. Himalayan salt is packed with incredible benefits such as supporting weight loss, detox, and balanced hormones. You can even use it in your home improve air quality. Himalayan salt is widely touted for its mineral content, containing 84 minerals in total. In addition to sodium, Himalayan salt is relatively high in magnesium, phosphorus, calcium, potassium, iron and chloride. It also contains traces of boron, fluoride, iodine, zinc, selenium and copper, all of which are necessary for bodily health. As a naturally occurring salt, Himalayan salt contains all these minerals without chemical processing or refinement. Because it is harvested naturally, Himalayan salt’s mineral benefits are available regardless of what form the salt is consumed as. Himalayan salt is most commonly found as coarse grains, fine grains, or large blocks, which can be used as serving platters that delicately “season” the food they serve. Himalayan Salt is unique cellular structure – it stores vibrational energy. The minerals in this salt exist in colloidal form, which means that they are small enough for our cells to easily absorb. Always use pre-ground salt or grinders as you would any other kind of salt. Slabs will impart a better taste of mineral content. Chilled: Use fruits, sushi, veggies, or cheese as a decoration. Frozen, cold delicious desserts and sorbets. Heated: Slabs can be used to sear veggies, shrimp, fish fillets, and thinly sliced beef, and you can even fry eggs. Dense salt blocks conduct heat amazingly. Cleaning: What is even better, Himalayan salt is a natural antimicrobial product, and the clean up requires only a simple scrub or rinse. Enjoy a detoxifying Himalayan salt bath. Its nutrients will stimulate your circulation and soothe sore muscles. With 80+ nourishing and skin-friendly minerals, this bath will provide a healing and amazingly therapeutic experience for both body and soul. Shower and wash thoroughly before taking a detox bath. Fill your tub with water that is about 98-100 degrees, just at or slightly above body temperature. This allows for maximum absorption and will also make you sweat. If you prefer hot baths, then enjoy it hot. You'll still experience an effective detox. Dissolve Himalayan salts in the tub as it's filling. Add 1 Cup Himalayan Salt (normal bath) or 1-2 lbs (about 2-4 cups) Himalayan Salt (STRONG bath). If your salts are chunky, you may need to let them sit overnight in a large pot of water to fully dissolve. If using essential oils, add them to the running water as your tub fills. Soak in the tub for as long as feels comfortable, 40 minutes is generally recommended. Remember to stay hydrated! You probably wont drink the entire gallon of water, but it's good to have around just in case. When you are finished, drain the tub and get out slowly. Some weakness is to be expected. Some people recommend showering again after the detox bath, others say that it's best to air dry, letting the mineral-rich water soak into your skin. Salt air contains negative ions that accelerate our ability to absorb oxygen and balances levels of serotonin, as well as having anti-bacterial, anti-inflammatory, and anti-microbial properties. 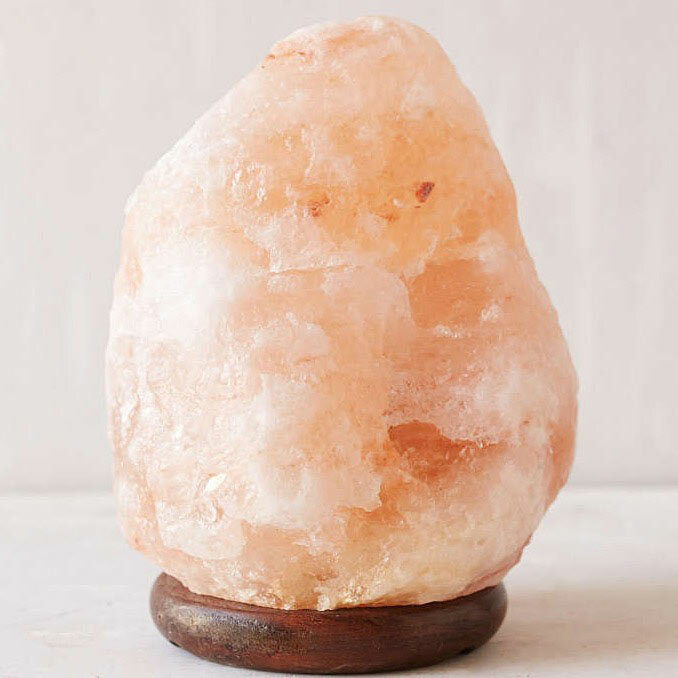 Himalayan pink salt lamps are large pieces of pure Himalayan Salt with a small bulb inside. The salt absorbs water and particles from the air and takes positive ions with them. The heated salt releases cleansed water vapor and expels negative ions back in to the air. Since things like airborne mold, bacteria, and allergens often carry a positive charge; they can be neutralized by negative ions. They also may protect against germs in the air, resulting in decreased irritation due to inhaling various particles that make you sneeze, cough, or have a throat irritation. In addition, negative ions increase the flow of oxygen to the brain; resulting in higher alertness, decreased drowsiness, and more mental energy. *Himalayan Salt baths are intended to be taken at or just above body temperature, but can still pose a risk. If at any time you feel light headed or dizzy, add cool water to the tub or put a cold wash cloth on your head. Drink LOTS of water. Get out of the tub very slowly. If you have any medical conditions, check with your doctor before performing any kind of detox. Hot baths are not recommended for people with high blood pressure.